THE Parliamentary Portfolio Committee on Mines and Energy has resolved to send a final letter to former President Mr Robert Mugabe after he snubbed a hearing on Chiadzwa diamonds for the second time yesterday amid reports that he could be arrested for contempt of Parliament if he continues defying the August House. The committee said it does not seek to embarrass Mr Mugabe but he faces arrest for contempt of Parliament like the late MDC legislator, Mr Roy Bennet, who was sentenced to one year in jail with hard labour in 2005 for assaulting then Justice Minister, Cde Patrick Chinamasa. Mr Mugabe is expected to explain his claim that that the country could have lost US$15 billion from Chiadzwa diamond fields. Committee chairperson and Norton legislator Mr Temba Mliswa said they were hoping that Mr Mugabe would respond to the final letter failure to which he faces contempt of Parliament charges. “We were expecting the former President, Cde Robert Mugabe, to appear before us as a result of letters that had been written to him requesting his person to be here at 2PM today. He has not attended today’s session. As a result the committee resolved to write to him for the last time because Parliament writes to you twice and then they will summon you,” said Mr Mliswa. He said the committee unanimously agreed to write to him to appear on June 1 at 2PM. “In that notification to him, we will also state certain provisions of the Standing Order Rules that attendance before Parliament and Evidence is compulsory. Parliament or a committee by way of summons issued in Section 2 can order a person to appear before it. We will remind him of that. “These are some of the tenets of the Parliamentary Standing Orders that we will include to remind him that failure to attend, we will have no choice but to summon him, something that we regret doing and we hope not to do. As the former President of Zimbabwe, his legacy needs to be protected and as a result it can only be protected if he follows the rules of the country,” said Mr Mliswa. 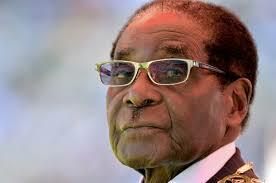 The committee chair said Mr Mugabe was not being persecuted as all that was needed was his contribution. “We still have utmost respect for him, that’s the reason why the committee has exercised this patience but ultimately there are laws and rules which Parliament has to follow which protect the citizens of this country and we hope and pray that we will not get to the stage of summoning the President to appear before us. “As you know we had equally suggested as a committee in respect of the work that he has done for this country to go and appear at his Blue Roof residence but you must understand it is his choice to allow us to appear there or even be in camera. The options are open to him but he has not responded,” said Mr Mliswa. “And of course you know that by not attending there is that schedule …he will be in contempt, there are many results. Let me remind you that the late Mr Roy Bennet was sent to prison by Parliament”. He said when Parliament writes to someone, the person has to write the reasons why they cannot comply. “Parliament has done everything necessary to ensure that the due process is followed to ensure that the former President attends by sending letters through the right channels which is expected of Parliament,” said Mr Mliswa. Turning to Home Affairs Minister Dr Obert Mpofu who refused to appear before the committee demanding that Mr Mliswa recuse himself, the outspoken Norton MP said a report had already been sent to the Speaker of Parliament, Advocate Jacob Mudenda.